Does Israel’s Zionist Project Require the Destruction of Palestine? American journalist and scholar Gregory Harms believes that the recent 8-day Israeli war on the Gaza Strip might have been waged to distract public attention from the internal socioeconomic crises and problems the Israeli regime faces, especially ahead of the January 2013 legislative elections. He believes that launching airstrikes on Gaza may serve to give Benjamin Netanyahu and the Likud party a secure vote in the upcoming elections. “[P]ushing the Gaza button focuses Israelis on matters of security. The population in Israel is highly manipulated and taught to be fearful… Israel’s isolation is bad for the country and its people; it cultivates a very unhealthy national psychology. As a result – and quite similar to Americans – the public is easily turned around. When things are too calm, the people begin focusing on domestic issues and the economy. This has been a serious issue in Israel, with massive protesting occurring over housing costs and income disparity. Israel’s economy is better than most, but there are serious grievances, and when the Arab Spring took hold of North Africa and the Arab Middle East, its effects were felt in Jerusalem, Haifa, and Tel Aviv,” he said in a recent interview with me after the announcement of ceasefire between Hamas and Israel on November 21. Gregory Harms is an independent scholar specializing in U.S. foreign policy and the Middle East. He lectures, keeps a blog on Facebook, and publishes articles on CounterPunch, Truthout, and Mondoweiss. Harms has traveled throughout Israel, the West Bank, and Gaza, and has been interviewed on BBC Radio. His first book “The Palestine-Israel Conflict: A Basic Introduction,” 3rd ed. (Pluto Press, 2012) is brief and general summary of the history of Israeli-Palestinian conflict since the establishment of the Israeli regime in 1948. I conducted an interview with Gregory Harms a few days after the conclusion of the Operation Pillar of Defense which claimed the lives of at least 170 Palestinians and caused serious damages to the infrastructure and civilian buildings in the besieged Gaza Strip. Following is the text of the interview. Kourosh Ziabari: Ceasefire has now been declared between Hamas and Israel, but through the eight-day attacks and air-strikes of Israel against the Gaza Strip, some 180 Palestinians, many of whom innocent civilians, have been killed. Why do you think Israel renewed its assaults on Gaza? Gregory Harms: The question of why is a matter of speculation; but we can make some reasonable guesses. It’s hard to imagine that the upcoming January elections in Israel are not a factor. Israeli Prime Minister Benjamin Netanyahu is likely looking to focus the country on security issues as well as consolidate Likud’s coalition in the Knesset, Israel’s parliament. He and Likud are the expected victors, but the elections are too near for this not to be a consideration. Another possible factor is Hamas’s increased regional prestige. Because of the new leadership in Cairo under President Mohamed Morsi, the strong presence of the Muslim Brotherhood in Egyptian politics, and Hamas’s severing of ties with its former sponsor in Damascus, relations between Hamas and Cairo have progressed. Hamas’s growing ties with Qatar and Turkey also signal the Islamist organization’s increased status. Israel’s strategic take on this is difficult to discern, but if this development did factor in the recent violence, it is Tel Aviv acting on its longstanding impulse of using the military first. One possible benefit, from Israel’s perspective, is that now that Morsi and company have played a key role in achieving a truce, Gaza has been pushed closer to Egypt. For Tel Aviv, the best-case scenario is that Gaza becomes Cairo’s problem altogether, as it was before 1967. Iran could very well be a possible motive. If Tel Aviv plans on attacking Tehran’s nuclear facilities anytime soon, it will want Hamas’s weapon supplies diminished. If this is indeed a rationale, it raises the question of Hizballah’s caches and preparedness in Lebanon. Whether Iran is a factor is difficult to say. The Obama White House has to-date shown no interest in direct armed intervention in Iran, which in turn makes a unilateral Israeli operation an unpopular notion among the majority of Israelis. Furthermore, Iran is a very large country that can fight back, automatically making it a less likely candidate for US-Israeli action. This is extraordinary language for a UN member state to use against another entity. Imagine for a minute this kind of rhetoric being used by Moscow or Beijing about the Israeli prime minister. You won’t need a full minute for that thought experiment. Israel’s calculations are difficult, if not impossible, to determine. One could analyze and guess the issue to death. And at the practical level, it doesn’t matter that much. It’s not crucial that we know why Israel assassinated Hamas military commander Ahmed al-Jabari and initiated Operation Pillar of Defense. Even if we had direct access to Netanyahu’s mind, where would that put us? Israel would still be a regional belligerent functioning as an extension of US power. And Gaza – and the Palestinians in general – would still be at the receiving end of Washington’s policy of preventing democracy and keeping Israel militant. Instead, the focus should be Gaza’s situation as an occupied territory, and that Israel, along with maintaining its occupation of the territory’s exterior, subjects the people there to devastating armed violence. Popular pressure can do something about that. Americans and Europeans can have an effect. They cannot have an effect on what lurks in the minds of people like Netanyahu, Ehud Barak, and the architects involved in these operations. Kourosh Ziabari: It was reported that during its onslaught on the Gaza Strip, Israel bombarded many civilian facilities such as hospitals, mosques, schools, refugee camps and even the Gaza city’s sport stadium. What is the objective of the Israeli regime? Why does it attack Gaza Strip’s infrastructures every time it starts to pound the coastal region? Gregory Harms: This policy doesn’t just apply to Gaza. I was in Ramallah in 2002 shortly after Operation Defensive Shield. This was in the early post-9/11 period, of course, and after some suicide bombings, the IDF reentered the West Bank areas from which it had withdrawn after the Oslo Accords. There was one demolished government building after another. I and some others were given a tour of the broadcasting headquarters there, and though the building was still standing, it was one burned out, strewn room after another, with enormous holes blasted through the walls. Much equipment was destroyed and furniture looked like a tornado blew through the building. So what happened in 2008-09 during Operation Cast Lead, and now during Pillar of Defense, is not a recent development. This policy of Israel every once in a while destroying (or re-destroying) Palestine’s infrastructure indicates Tel Aviv’s desire for the Palestinian territories to be feeble and dependent. The settlements and land expropriation in the West Bank are a part of this. The economic isolation and blockade of Gaza – which Israel has privately referred to as “economic warfare” – is part of this. The maximal Zionist project is to have a minimal Palestine; ideally, no Palestine. But they are going to have to suffice with a minimal one. And given the martial mindset in Tel Aviv, the solution is simple: let the IDF handle it. It doesn’t cost anything. The United States provides material and diplomatic support, and Western Europe is on board. There’s always talk of Israel becoming isolated in the region and within the international community – which is indeed bad for Israel – but this does not intimidate Tel Aviv’s top-level planners. This is similar to the editorializing commonly found in the American press that Washington, because of its aggressive policies in the Middle East and its relationship with Israel, is jeopardizing US “credibility in the Arab world.” This is not a concern in Washington at the executive level. The only credibility desired at the executive level is the kind established by intimidation. Kourosh Ziabari: Somewhere in your recent article, you argued that the Operation Pillar of Defense might have been launched with a short-term objective of giving Benjamin Netanyahu and his Likud party a secure vote in the upcoming elections. In what ways could a hard-hitting attack on the Gaza Strip and crushing of Hamas have contributed to the success of Netanyahu in the January 2013 legislative elections? Gregory Harms: As I mentioned, pushing the “Gaza” button focuses Israelis on matters of security. The population in Israel is highly manipulated and taught to be fearful. And like I said above, Israel’s isolation is bad for the country and its people; it cultivates a very unhealthy national psychology. As a result – and quite similar to Americans – the public is easily turned around. When things are too calm, the people begin focusing on domestic issues and the economy. This has been a serious issue in Israel, with massive protesting occurring over housing costs and income disparity. Israel’s economy is better than most, but there are serious grievances, and when the Arab Spring took hold of North Africa and the Arab Middle East, its effects were felt in Jerusalem, Haifa, and Tel Aviv. That said, the recent violence with Gaza found broad public support among Israelis. A ground invasion would be a different story. If the ceasefire doesn’t hold and the IDF enters Gaza, it won’t be as well received. And if there are significant IDF casualties in such an event, it will be even worse for Netanyahu’s approval rating. Nevertheless, Netanyahu faces little opposition in January, just boosted his numbers with Pillar of Defense, and because of recent White House support for Israel’s operations, the prime minister can now claim his relationship with President Obama is on solid ground and that all’s well, which is very important to Israelis. Incidentally, this also significantly increases Obama’s leverage over Netanyahu. 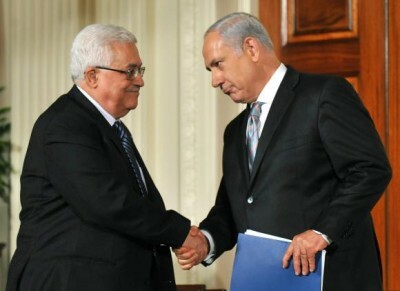 Previous articles explained Abbas’ longtime collaboration with Israel. He sold out long ago for whatever benefits he derives. He’s Israel’s enforcer. He ill serves and insults Palestinians. His presidency is illegitimate. Israel rigged his 2005 election. In January 2009, his term expired. He’s still in office. At least for now, Washington and Israel want him there. He’s more stooge than statesman. He’s a duplicitous puppet. He replicates fascist Quisling Norway, Vichy France, and other Nazi-controlled collaborationist regimes. Instead of serving his people, he betrayed them. He subverts Palestine’s liberating struggle. Collaborating with the enemy is treason. Abbas and likeminded Fatah officials are guilty on multiple counts. What did he know and when about Pillar of Cloud? Leaked US diplomatic cables quoted a senior Israeli official confirming it. Haaretz reported the same thing. Mubarak and Abbas were briefed in advance. Haaretz said “Israel tried to coordinate the Gaza war with the Palestinian authority.” WikiLeaks released US diplomatic cables confirming it. In June 2009, months before Cast Lead, Israeli Defense Minister Barak met with US congressional members. Abbas denied getting advance word. He lied. Mubarak said nothing either way. Avigdor Lieberman held ministerial positions under Sharon and Ehud Olmert. In April 2009, he became Netanyahu’s Foreign Minister. Abbas was never fit to serve. That’s why Israel and Washington chose him. More from WikiLeaks suggested it. Washington’s Tel Aviv embassy said Fatah officials asked Israel to attack Hamas. According to a June 2007 dispatch, Shin Bet head Yuval Diskin said “demoralized” Fatah officials wanted help to destroy Hamas. At the time, Fatah collaborated with Washington to oust Hamas. An abortive coup failed. More information surfaced. WikiLeaks published a June 12, 2007 cable. It said Israeli military intelligence head Amos Yadlin told US embassy officials that Hamas retaining power in Gaza was advantageous. Israel’s imperial agenda needs manufactured enemies. Having them facilitates violence and instability. They also help justify small and larger-scale wars. Like Pillar of Cloud, Cast Lead was planned months in advance. 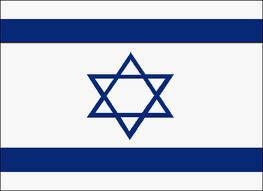 Its aim was to advance Israel’s imperium. It involves controlling all valued parts of Judea and Samaria, depopulating much of Palestine, and confining remaining population elements to canonized worthless scrubland. Both conflicts are more about weakening Hamas than destroying it. They also involve waging war on civilian men, women, children, infants and the elderly. Doing so is official Israeli policy in all conflicts. Israel considers all Palestinians combatants or potential future ones. Perhaps Abbas and other Fatah officials knew about Pillar of Cloud in advance. Maybe they approved or urged it. During eight terror bombing days, Abbas’ comments were delayed, weak, meaningless and insulting. He did nothing to help beleaguered Gazans. Nor during Cast Lead. Both times he went along with Israeli slaughter and mass destruction. She discussed both Younis letters. Abbas was abroad when Israeli terror bombing began. He returned. He had to. Yet he waited two days before speaking publicly. His comments were weak, unacceptable and duplicitous. He showed which side he’s on. He also convened Palestinian PLO leaders. “(H)e didn’t even invite the Hamas representative in the West Bank.” He failed to show solidarity with Gaza. “It is not clear whether the Hamas government would (let him come) as part of an overall conciliation agreement” or for any purpose. Doing so fell far short of what’s needed. Palestinians need leaders serving them, not Israel. Abbas is a collaborative traitor. He’s also a pathetic spent force. The Israeli bombardment of Gaza being perpetuated under ‘Operation Pillar of Defense’ comes at an interesting time. Under the leadership of Benjamin Netanyahu and Ehud Barak, the expansion of illegal Jewish settlements into Palestinian lands has increased at unprecedented rates. Netanyahu’s administration has approved the construction of 850 settler homes in the occupied West Bank in June 2012, even after the Israeli parliament rejected a bill to retroactively legalize some of the existing homes in the area. The number of Jewish settlers in the West Bank has almost doubled in the past 12 years, with more than 350,000 residing illegally under international law. While Israel’s Foreign Minister Avigdor Lieberman asserts Tel Aviv’s unwillingness to permit Palestinians any right to return to their lands, emphasizing, “not even one refugee,” apartheid enforced on ethnic and religious lines has become a ratified part of Israeli government policy. Far-right political discourse that was once considered extremism is now the status quo in Israel. While Netanyahu publically announced support for a Palestinian state on the West Bank, his government has threaten to end the Oslo Accords if the United Nations General Assembly granted Palestine with non-member observer state status. A panel of Israeli jurists assembled by Netanyahu’s government to determine the legal status of the West Bank concluded that there is “no occupation” of Palestinian lands and that the continued construction of settlement outposts are entirely legal under Israeli law, despite critical international opinion. Netanyahu’s far right-conservative Likud party was established on the philosophy of Ze’ev Jabotinksy, who called for the establishment of a ‘Greater Israel,’ a concept embraced by Israeli historian Benzion Netanyahu, the father of today’s Prime Minister. Under his fathers influence, Benjamin Netanyahu was indoctrinated in the ideological foundations of Revisionist Zionism, which promote Jewish settlement in Judea and Samaria (Palestine) and the full biblical land of Israel by contemporary Jews, an oil rich landmass extending from the banks of the Nile River in Egypt to the shores of the Euphrates. As rocket fire hits Tel Aviv for the first time since the Gulf War, the ongoing siege of Gaza must be seen as what it is – a premeditated component of Israeli expansionism. Netanyahu was a zealous supporter of former Prime Minister Ehud Olmert’s 2008-2009 sieges on Gaza known as ‘Operation Cast Lead,’ which killed over 1,400 Palestinians, while Israel suffered only 13 causalities. On November 14, 2012, Israeli Defense Forces (IDF) launched an offensive into the Hamas-controlled Gaza strip and began announcing their progress through an official Twitter account. IDF forces assassinated a prominent Hamas military commander, Ahmed Jabari, who was allegedly in possession of a draft copy of a permanent truce agreement with Israel. The agreement included mechanisms for maintaining the cease-fire in the case of future military exchanges between Israel and the Hamas-led political factions of the Gaza Strip. Militants from the armed wing of Hamas in Gaza retaliated by firing rockets into Israeli territory, a large percentage of which were intercepted by Israel’s Iron Dome air defense system. “A sovereign Palestinian state will immediately absorb 700,000 Palestinians who are living in terrible conditions in Syria, another 750,000 Palestinians who currently live in Lebanon and hundreds of thousands of others who will flock to the new state from all over, because to them the West Bank and Israel are America – just ask the African infiltrators. Due to the ‘Arab Spring,’ Syria and Lebanon would gladly kick the Palestinians out, and the Palestinian state would welcome them with open arms in order to change the demographic reality on the ground. Qatar and Saudi Arabia would fund the entire exodus. In 1952, Israeli Defense Minister Moshe Dayan spoke ardently of Tel Aviv’s ultimate goal, the creation of ‘an Israeli empire’ – today, Netanyahu has led his administration with megalomaniacal hubris, and has emphasized a messianic-catastrophic worldview where Israel is “the eternal nation.”  Indeed, a Salafist-dominated Palestine would cause troubles for Israel, and it provides a much-needed pretext for Israel to militarily engage with Palestine groups, with the eventual goal of recapturing their land for Jewish settlement. ‘Operation Pillar of Defense,’ launched just months away from Israel’s elections, is a calculated component of the Netanyahu government’s strategy to topple Hamas and continue absorbing Palestinian territory. Decades of occupation and apartheid have shaped the current scenario; Israel has dehumanized an entire people by seizing their land and forcing them into prison-like ghettoes. Adherents to political Zionism have shown contempt for a genuine political solution to the Palestinian conflict, and the Netanyahu administration is poised to crush all opposition to the Jewish state. Amid reports of rocket fire striking Jerusalem, it is clear that the Israeli response will be swift and unforgiving. While the historic plight of the Palestinian people cannot be ignored, the conduct of Hamas is counter-productive and radical, despite the Israeli firepower being exponentially more destructive. The siege on Gaza is an impetus to consider Henry Kissinger’s prediction, “In 10 years, there will be no more Israel.” Sixteen US intelligence agencies that collectively issued an 82-page analysis titled, “Preparing for a Post-Israel Middle East,” concluded that Netanyahu’s Likud coalition has enthusiastically condoned and supported illegal settlements, while enforcing an apartheid-style infrastructure upon Palestinians. Israel, the only nuclear-armed country in the Middle East, has all the attributes of an international pariah state and its current path is unmaintainable. If Israel devastates Gaza, the backlash would create momentum that threatens the very existence of the Jewish state. Under Bibi’s watch, Israel will either continue to enforce the ideological tenants of political Zionism on its neighbors, or die trying. early hours of November 15, 2012. Israel is bombarding Gaza for a second day, with 13 Palestinians killed, including four children, and over 100 injured. The attack’s timing is under question with a looming Israeli election, as is the precision of airstrikes which kill civilians. ­Israel’s military operation started on Wednesday with a strike killing Hamas military leader Ahmed Jabari. Since then, reports say, the IDF has struck around 200 targets in Gaza. Furthermore, Israel is threatening to go as far as initiating a ground operation, sparking fears of a repetition of the Cast Lead scenario. The Israeli Defense Force (IDF), which has engaged in a Twitter showdown since the very beginning of the strikes, said it targets only “terror sites”. However, this has been questioned by witnesses on social media who point out that only four people of the 13 so far killed by Israeli airstrikes were Hamas militants, while the rest were civilians, including women and children. Civilian casualties included the baby of BBC Arabic journalist Jihad Masharawi, who lost his 11-month-old son, along with his sister-in-law. He also has a brother wounded by a strike. targeted by an Israeli air strike in Gaza City in the early hours of November 15, 2012. ­Israeli strikes have led to a spiraling escalation of conflict, with Hamas already saying it is now in a state of “open war” with Israel and threatening to send in suicide bombers. The IDF stated that more than 130 rockets were fired from Gaza at locations in Israel during the last 24 hours. Three people have been killed on the Israeli side. The Ezzedine al-Qassam Brigades, the military wing of Hamas, has announced it is launching “Operation Shale Stones” in response to Israel’s “Pillar of Defense”. These kinds of statements call into question how long the conflict is actually going to last and spark fears of even further escalation which would draw more civilian casualties. Meanwhile, experts are starting to question the timing of the Israeli attack on Gaza which is not viewed as accidental. Israel will hold a general election on January 22 and conservative Prime Minister Benjamin Netanyahu has pledged to retaliate harshly against Hamas. Eric Draitser, a geopolitical analyst for Stop Imperialism sees the attack as fitting in with the pre-election campaign to influence Israel’s general election. ­Freelance journalist Lior Sternfeld has drawn a direct parallel between the pre-election November 2012 attack on Gaza and the 2008-2009 pre-election attack. Even though Netanyahu does not face much opposition, “he knows that the way to ensure his victory in the upcoming elections will be by diverting the public discourse from demands of social justice to existential threats imposed on Israel by the bogeyman – Hamas,” Sternfeld argues in his column for Informed Comment. He also believes that Hamas’ retaliatory response was predictable and even more so, encouraged. But Israeli civilians are already suffering. Three people were killed by a rocket strike from Gaza on Thursday, and there are dozens of injured including three children. There have also been reports of Israeli residents experiencing panic attacks from Hamas rockets that were sent back in retaliation. All schools within a 40km range of Gaza have been closed. People living within a 7km range of the Gaza border are not allowed to leave their homes and gatherings of over 100 people in one place are prohibited, Yeshiva World News reports. About 100 people protested outside Israeli Defense Minister Ehud Barak’s apartment in Tel Aviv Wednesday night following the start of the offensive on Gaza. The activists were shouting “Money for welfare, not war,” thus indicating that they see the operation as an attempt to distract people’s attention from Israel’s own internal problems. ­Palestinian protesters also marched in the West Bank city of Ramallah in support of the people of the Gaza Strip and against Israeli airstrikes. “It is killing children and women; it is injuring scores of people. The way it tries to assassinate military targets is illegal because it is using indiscriminate and reckless amounts of force,” documentary maker and activist Harry Fear, who is currently in the region, told RT. “Tomorrow Israel expects to launch the ground incursion of the Gaza Strip, including central parts of Gaza City. International reporters and activists on the ground believe this is the beginning of another full-scale war similar to the one in 2008-2009,” he added.